A Republican county official in Pennsylvania has resigned after writing Facebook posts calling NFL players who protest during the national anthem "baboons" and "ignorant blacks." Carla Maloney, who served as secretary of the Beaver County Republican Committee, wrote in a resignation letter Friday that her posts were "distasteful, inappropriate and insensitive." "I know my posts and comments were disrespectful to not only the people I love, but families across the country," she wrote. Maloney wrote several Facebook posts about the NFL last year under a different name, before she was appointed to her secretary position. The Beaver Countian, a local news website, first obtained screenshots of the posts. "Tired of these over paid ignorant blacks telling me what I should believe in. I will tell you what I believe in and that is our Flag the National Anthem and America period end of story," she wrote in one post. "You don't like it here go to Africa see how you like it there. We are all Americans not African American not Hispanic American. WE ARE ALL AMERICAN." Maloney wrote in another comment, "Steelers are now just as bad as the rest of the over paid (sic) baboons. You respect your flag, country and our national anthem ... Let's see how the baboons get paid when white people stop paying their salaries." She also predicted that there would be a civil war in America "soon than later." The account she used for the posts appears to be deactivated. In her resignation letter, Maloney said that the posts became public as "the result of an ongoing family dispute." She apologized and said she was resigning from her position as an elected member of the Republican committee. "I know I am a better person than this and, as I step away from these public positions, I will work to show everyone who I truly am," she wrote. Maloney did not immediately return messages seeking comment. The Beaver County Republican Committee said in a statement after her resignation, "The views expressed in her posts are abhorrent and have no place in reasonable public discourse. We denounce these comments in the strongest terms possible." Maloney appeared on CNN's "The Van Jones Show" in July as part of a panel discussion about President Trump and his policies. The show identified her only as a Trump voter, and did not say her position in county government. At one point, while listing the problems in America that she said need attention, Maloney asked, "What about the black community that has one father or one mother?" Former San Francisco 49ers quarterback Colin Kaepernick began kneeling during the national anthem in 2016 as a protest against racial injustice in America. 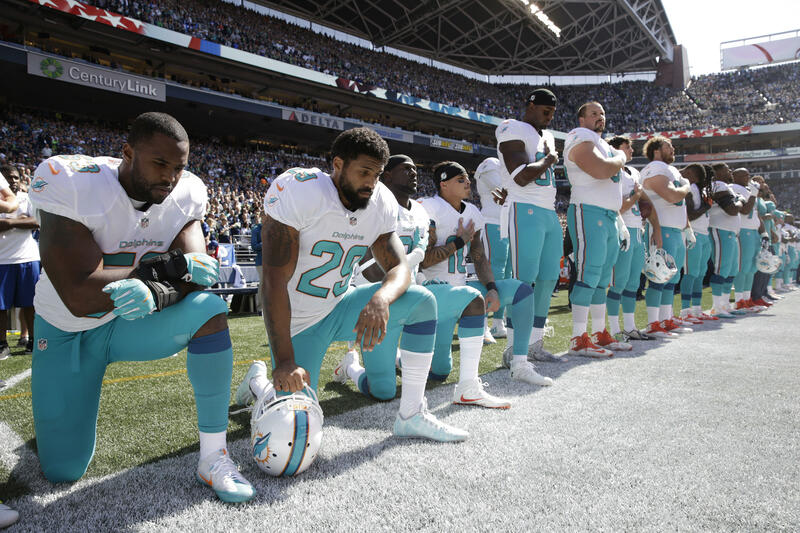 Other players joined him drew the ire of President Trump, who publicly condemned them, incorrectly claiming they are protesting the anthem or the American flag. The NFL announced a new policy on demonstrating during the anthem, but players have objected, and no changes have been instituted for the 2018 season.